Five-time world champion Ronnie O'Sullivan has confirmed he will return to competitive snooker at the Masters at Alexandra Palace in January. He has not played since losing a World Championship quarter-final to eventual winner Stuart Bingham in April. "Looking forward to playing the Masters," the 39-year-old wrote on social media. The former world number one has won 27 ranking events in his career, including five Masters titles. 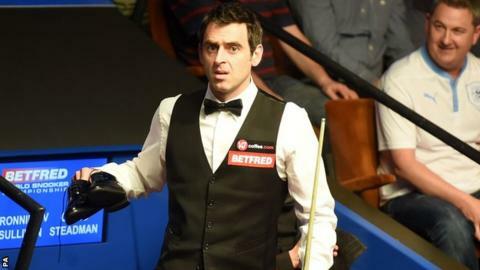 O'Sullivan recently told BBC Sport: "I am reluctant to give up this easy life I have at the moment which is very enjoyable. The Masters begins on Sunday, 10 January, with the final on the following Sunday, 17 January.